The Dybbuk Box (also called Dibbuk Box) is perhaps one of the creepiest haunted objects ever sold on eBay. Buying and selling objects with a haunted reputation has become a cottage industry on eBay. Many such items have a dubious history centered on urban legend rather than real evidence. 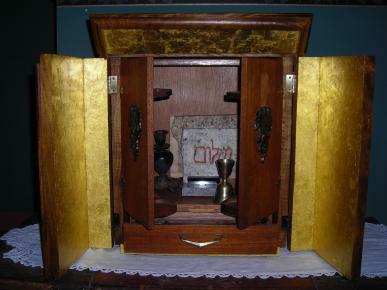 The Dybbuk Box, however, is another story altogether. Jason Haxton was the Dybbuk Box's longtime owner and caretaker. He is the museum director at A. T. Still University Museum of Osteopathic Medicine. He is well-respected in his field and travels the world speaking about medical history and museum artifacts. Before Haxton owned the artifact, an unsuspecting Portland, OR antique dealer named Kevin Mannis purchased the Dybbuk Box at an estate auction. Since then, the box has frightened and baffled its owners with the strange activities that surround it, including Haxton himself. Currently, Ghost Adventures star Zak Bagans keeps the Dybbuk Box at his haunted museum in Las Vegas, NV. Kevin Mannis first bought the Dybbuk Box as a wooden wine cabinet for his antique furnishings shop. It was among a pallet of other items, part of an auction lot, and after he placed the winning bid, Mannis was approached by a woman who said to him, "I see you've bought the Dybbuk Box." Thinking it was a family heirloom, Mannis offered to give it back, but the woman ran away crying, exclaiming she never wanted to see the box again. Taking the box to his shop, Mannis left it in the basement because he planned to do some minor repair work and rub some oil into its wood. Almost immediately, anyone near the box suffered its wrath. For example, a shop clerk left alone with the box heard cursing and the sound of breaking light fixtures. She fled left the shop in terror, never to return there to work. A couple who bought the box from Mannis mysteriously left it on the store's stoop a few days later with a note saying the box had a bad energy. Mannis decided the wine cabinet, which he hadn't yet associated with the strange happenings in his store, would make a nice gift to his mother. According to Haxton, "When Kevin's mother received the box, she suffered a stroke leaving her partially blind, unable to speak, and paralyzed. Soon, all kinds of unexplainable events occurred surrounding the box. Anyone who slept near it would have dreams of being pummeled by a demented hag, notice odd scents, and see dark shadowy figures." Fearing for his sanity and afraid that harming or destroying the box might leave these spiritual entities in his home, Mannis sold the wine box to a college student in an online auction. The student also witnessed the unexplainable. "When his hair started to fall out in clumps, he decided to get rid of the box," Haxton notes. "I leaned of the box through the student's roommate, and I was curious about it!" Haxton says. "I purchased it, and immediately had unexplained health problems with my vision, experienced choking, and saw odd lights and shadows. I got in contact with the family who created the box, which was meant to connect a Jewish family with the spiritual world during the Holocaust. 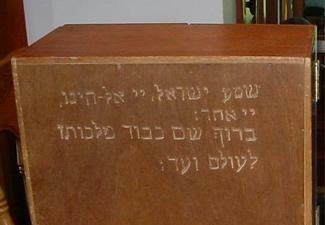 The wooden wine box was originally supposed to be buried with a 103-year old family member, but an Orthodox Rabbi refused the request." Haxton approached his ownership of the Dybbuk Box with curiosity and a healthy dose of skepticism. He quickly learned, however, there might be truth to the stories surrounding the item. Immediately, he began experiencing a host of disturbing issues including prophetic dreams, health problems such as vision loss, choking, metallic tastes that lasted for weeks, sudden welts and hives, and shadow creatures that floated across the floor and along walls. In spite of his experiences, Haxton saw himself as the box's caretaker, and over the term of his stewardship, his thoughts about the Dybbuk Box evolved. "I've experienced a range of thoughts and feelings about it and its effects," Haxton explains. "Each caretaker who has passed the Dybbuk Box on reports both relief and loss. All regret losing control of it." Haxton decided not to act in haste and get rid of the box like his predecessors had. Instead, he worked with scientists, Kabbalists, Wiccans, and those in the paranormal to diffuse the energy and put the artifact in a rest state. "For the past several years I've sealed it within an acacia wood ark lined in 24 karat gold," Haxton says. "It has indeed calmed its effects." "I've always done my best to keep the Dybbuk Box away from my family," Haxton claims. "My kids were very young when I first bought it, so it was easy to do. For most of the last seven years, they had no idea where it was located or about the depth of my research. That seems to act as a buffer." Haxton's wife has no interested in the paranormal so she showed little interest in the Dybbuk Box, but his kids were another story. "My kids are more like me in this aspect," Haxton explained. "They approach the Dybbuk Box topic with respect and caution. Although it is easily accessible within my den, I've never seen them make any attempt to have anything to do with it in any manner. It's kind of like a sleeping junk yard dog in the corner of the house. It's over there nestled in its military case, in its ark, and it's best to just leave it be." Haxton couldn't imagine being without the Dybbuk box, so it stayed with him. His plan was to have it buried with him when he dies. "It might seem odd," he says, "But I would like the Dybbuk Box to buried with me and for it to be finally gone from this world." However, Haxton's son told his father he wasn't comfortable burying the box with him. Haxton explains, "It is more of a fear that doing this could somehow bring a curse on him. That's the problem of trusting the living to carry out your desires." Haxton believes the box is neither evil nor good. "I believe it was designed and equipped to move a person toward their innermost desire or wish," he muses. "Of course, sometimes what a person wants is not always a good thing for them or others." Haxton further explains he feels the Dybbuk Box moves toward understanding and exposing the truth at the smallest level. "Its original acting out against its early owners and others was a way of continuing to move toward the ultimate goal of its creator," he says. "Those not willing to move it forward received stronger assaults from it until they let loose of the box so it could find someone who would fulfill its destiny and accomplish the goal or task it was given. Now the journey and its work is finished. As long as the Dybbuk Box remains contained with no one requesting anything more from it, it will stay in a neutral state." 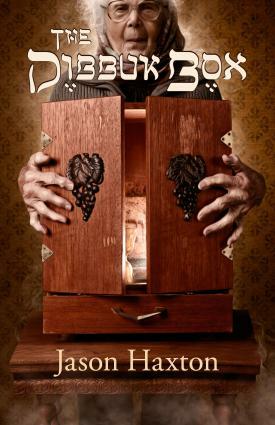 In November 2011, Haxton released his book about the Dybbuk Box. Although he had never planned on writing the book by himself, after going through co-authors, he eventually realized the undertaking was meant to be his alone. According to Haxton, "I had no choice but to do it on my own. My last co-author was a brilliant paranormal writer who completely broke down when the curse followed him home and manifested in him, his kids, and his house. Once he sent back all the material I gave him and stopped working on the book, everything returned to normal. He still refuses to speak of it." Left on his own, Haxton found a mentor, Giles Fowler. "We worked on the book for about seven months. Then I had several rabbis as reviewers," he explains. "I feel confident it will be a good read. It has the whole collection of events from my first hearing of this odd artifact until the day my manuscript went to the publisher." A film was also made based on the Dybbuk Box called The Possession. Haxton says he never wanted the film to be made about the box. "When I was approached by the producer's lawyer, I firmly said, 'No! No thank you,'" Haxton says. "Trust me, that does not work with Hollywood film lawyers. After some heavy coercion, I relented. I signed a legal contract seven years ago - that is how long Hollywood has had its eye on the box. The film is called The Possession, and I am listed as a production consultant." With the media attention focused on the box, Haxton muses about how the box might "feel" about it. "I don't think the box or its consciousness has any specific feeling on these things going on, but that these are just the means to provide the truth. The wish of its creator is coming to light in a few months. That was the assignment, and its job will be complete. I cannot see how this information juggernaut could be derailed at this point. So it's resting. Mission accomplished." After years with the Dybbuk Box, Haxton decided it was time for a break from the events that plagued his life because he owned it. With that, he sold it to Ghost Adventures star Zak Bagans, who now keeps the box in his haunted museum in Las Vegas, Nevada. Perhaps the one thing you should take away from this story is that people should always be extremely careful when interacting with any object, or any "thing," that produces paranormal activity. Never let curiosity override your better judgment.